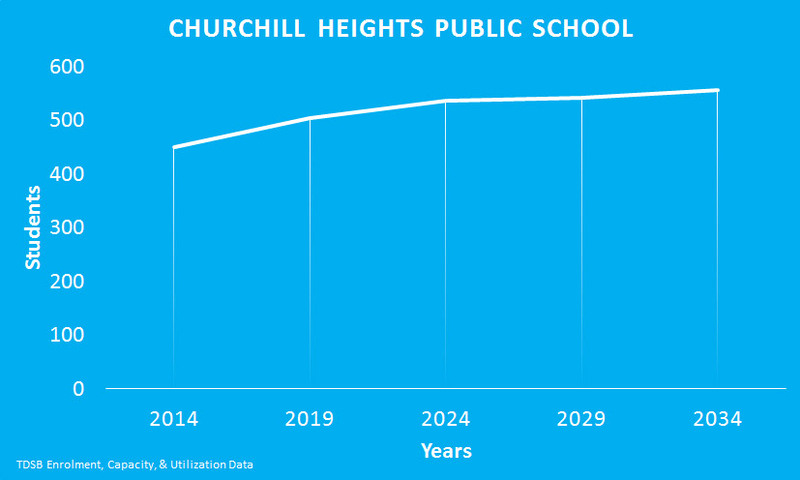 In ten years Churchill Heights Public School will be overcapacity. Correction: Please be advised that due to a transcription error Churchill Heights Public School was accidentally listed as Churchill Public School. We deeply apologize for the mistake.